Water damage emergencies can strike at any time and any place. There are many causes of water damage emergencies such as when your water heater breaks, over flowing toilets; even a refrigerator or dishwasher not functioning properly. Whether you have leaky pipes, a leaking roof or need water damage cleanup for any other reason, call Leading Carpet Cleaning. When disaster strikes, most homeowners and business managers have no idea what to do next. 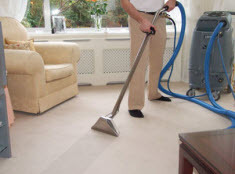 The first step you should take is to call Leading Carpet Cleaning. Our expert trained technicians are available 24/7 to remove standing water before it leads to unpleasant odors, mold growth and causes structural damage and wood rot. 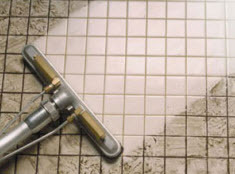 While you’re waiting for our helpful technicians to arrive to extract the water as well as thoroughly dry, deep clean and deodorize your carpets to neutralize odors, we recommend you shut off the water supply and move items away from the wet area on the floor to higher ground. As a commercial business owner or manager, a flooded building can be devastating to your business. Standing water doesn’t just damage the structure, it can also cause damage to your office furniture, inventory, merchandise as well as important documents and files. 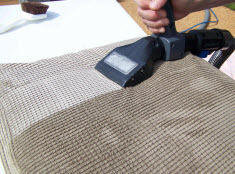 Leading Carpet Cleaning is the trusted company to call when it comes to professional water extraction and drying. Save our number and call Leading Carpet Cleaning when disaster strikes. We are available day and night for your convenience.